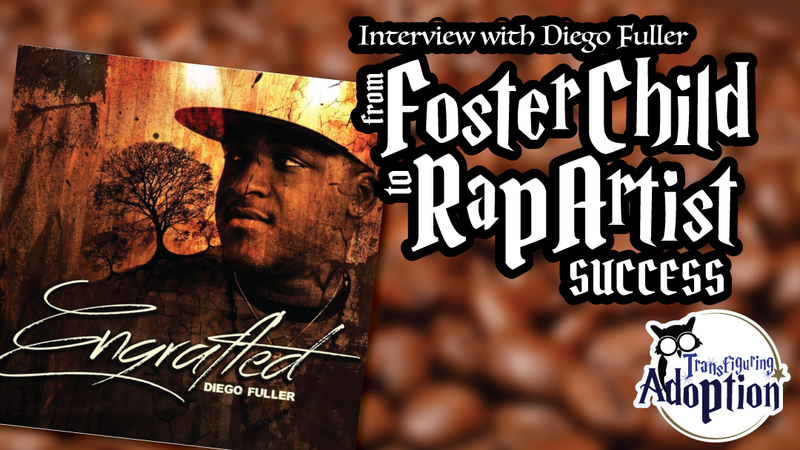 Diego Fuller is a National Recording Gospel Artist (worship & rap) and is also the founder of B.I.G Music Records. As a young man Diego Fuller never imagined that he would become a rapper. Let alone an artist that creates albums, music videos and is getting ready to play a role in a film. Fuller, who was molested at 8 and suffered from depression in a boys home, was one of six teenage boys to be delivered to the home of Mary and Aaron Blake. It is in this home that a childhood of negative events would come to a halt and Diego would be impacted forever. Discover more about Diego, his life and music, through a portion of the interview below or keep reading. Even through all the antics, Fuller’s father was true to his word about the boys being engrafted into the family. Ten years after those events Diego found that the concepts and life lessons surrounding the word, “Engrafted,” needed to be taught not merely to foster children but everyone. Thus, the “Engrafted,” Album was birthed to help people see not only the love of Fuller’s foster father but the love of Christ. Once you’re engrafted into God’s family, everything that is His is yours. Does Diego Still Have Struggles From His Foster Care Past? However, Fuller continued to explain how his God-given musical talent not only helps him to cope with his struggles but assist his fans in dealing with their past. For this reason Diego is glad for the situations he went through so that he can be the man he is now. What Do You Tell A Foster Parent That is Struggling With Their Child And Everything Seems Hopeless? Looking back on his past with his foster father Diego offers parents to look toward the future of the child and not the present. Diego’s organization, B.I.G. Foundation, has several ways that they are impacting orphans around the world. Fuller told us during the interview that he realizes that not everyone is called to foster or adopt but something for everyone to do to help. Visit their website to see how you can get involved and/or get in touch with the organization to see where you would be a good fit.